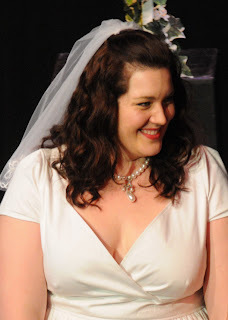 This month Marcy performs the Prima Donna/Ariadne in the Young Artists’ production of Ariadne auf Naxos. Strauss’s opera-within-an-opera is divided into two parts: the prologue and the opera. Stonikas plays the role of the opera company’s prima donna who sings the title role in their opera about the mythical Ariadne, which is performed in the second half. Du, nimm es von mir. Bei dir wird Ariadne sein. thou takest it from me. Ariadne will be with thee. Once Ariadne closes and YAP wraps up for the year, Marcy will be sticking around Seattle to cover Jane Eaglen’s role of Aunt Helen in the world premiere of Amelia. She’ll also head to Chicago (near her hometown of Elmhurst, IL) to sing Mahler’s 8th Symphony with the Symphony of Oak Park and River Forest. And we haven’t seen the last of Marcy in Seattle, either—she’ll make her mainstage debut with the company as the Second Lady in The Magic Flute in May 2011. Photo: Marcy Stonikas in Così fan tutte. 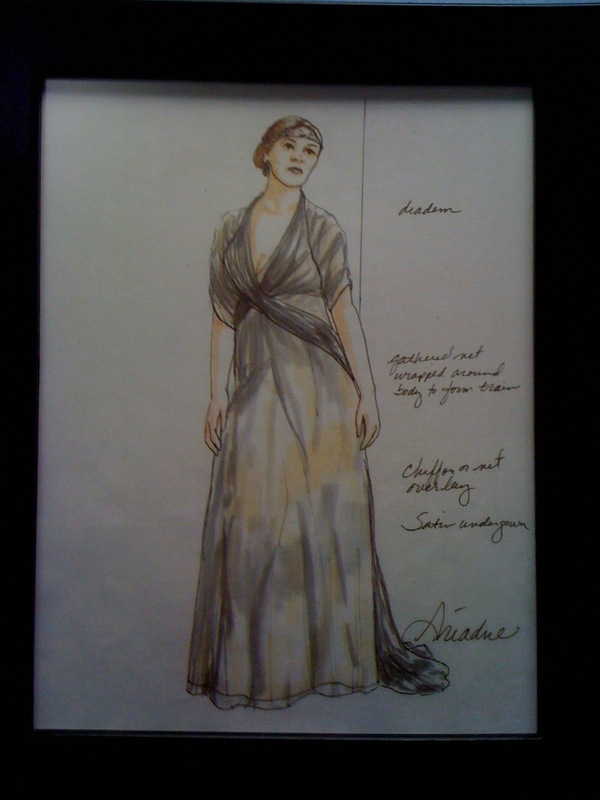 © Bill Mohn photo; Ariadne costume sketch by Melanie Taylor Burgess.